Last night, radical Islamist Boko Haram militants slaughtered over a hundred in an attack on the village of Dalori (three miles from Maiduguri). 4. 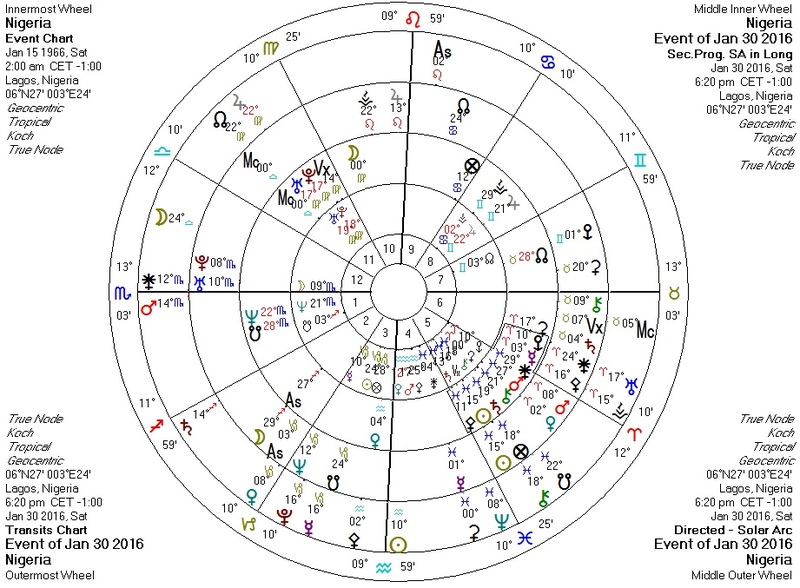 Moon ruler Venus conjunct Pluto. Pluto rules Fourth House. 5. Pluto parallel Saturn and square Uranus, co-rulers of Sun. 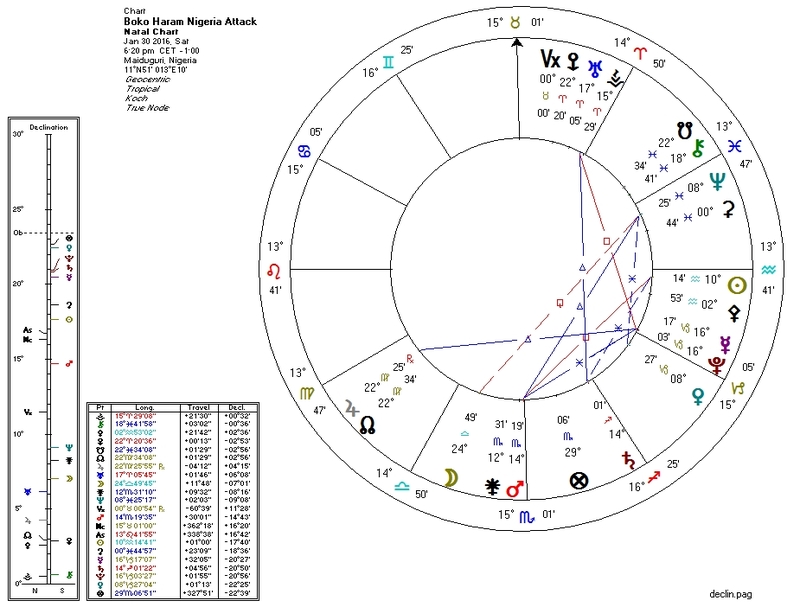 There is (of course) a Pluto-to-Pallas transit against the chart of Nigeria. Transiting Pluto is novile Nigeria's Pallas, widely sextile progressed Pallas, and tightly square solar arc Pallas. These mass-violence-related posts are very easy to write because the same factors seem to always appear in the related astrology. But I wouldn't mind having some good news to write about now.